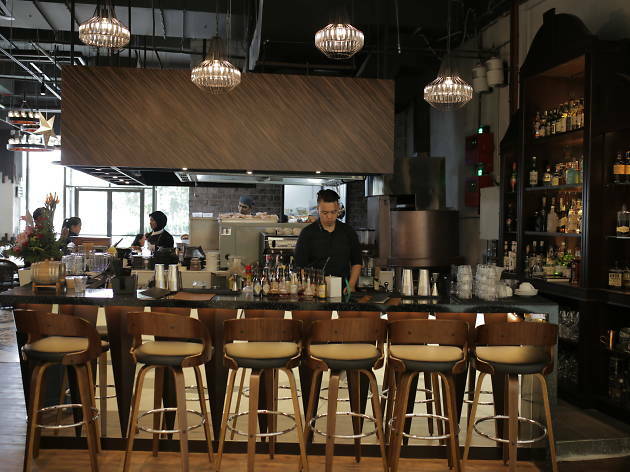 Located in Damansara Uptown’s new The Starling mall is the new restaurant and bar Bonfire serving up modern Australian cuisine. 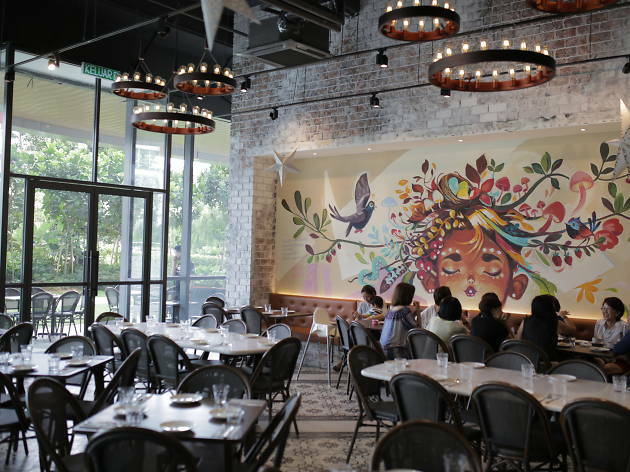 The space boasts a rustic lodge theme accentuated by medieval-style chandeliers, a brown, black and white colour palette, and an eye-catching colourful mural painted by a host of local artists that commands your view as you walk into the dining area. There’s also an alfresco area where you’d dine on a patio overlooking a garden, high chairs for the little ones, and long tables and chairs suitable for group dining. The kitchen cooks with a custom-made wood and charcoal fire oven which gives the dishes a distinct charred aroma and taste. To get your appetite going, try the pana de casa, which is bread toasted in the fire oven and served with a side of dried fruit butter. For poultry lovers, the baby spring chicken – infused with Cajun and local spices – is a good pick. And if you prefer fish, Bonfire cooks up a mean red snapper, grilled over a wood fire and served with a side of sweet basil and coconut beurre blanc. 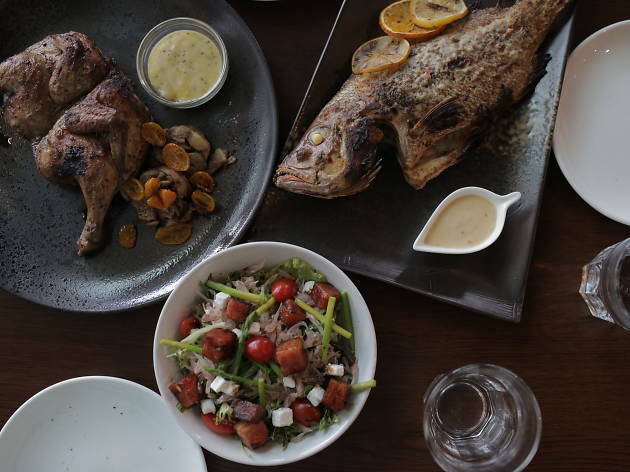 Other dishes in the meat-heavy menu include wagyu, ribs and lamb, as well as a small selection of seafood like soft-shell crab and fish. You can also add side dishes to complement your meal. One standout side dish is the refreshing baked watermelon and pomelo salad dressed with house-made vinaigrette – think sour, sweet and charred flavours jam-packed into one bowl. 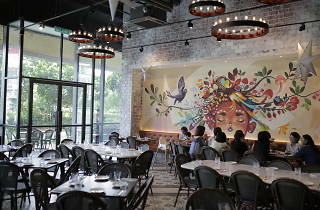 At Bonfire’s front house is the familiar Lou Shang Bar (previously located in Damansara Uptown), now rebranded and renamed as BonVivant. 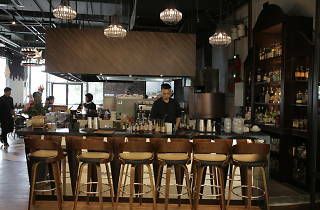 You’ll find familiar signature cocktails on the menu, including the famed assam laksa cocktail (now rechristened as Demi Cinta Laksa) and the Asamboi Julep. Also on the cocktail menu is the award-winning Heart of Tiffin – rum, soursop and lime juice, coconut milk and pandan foam. Aside from cocktails, you can also choose from a variety of wines, beers, gin, brandy, liqueurs, rum and a lot more. So if you’re looking for some meaty dishes to share with your friends or just a boozy night out, Bonfire at The Starling just might do the trick. Loved the food and the ambience! 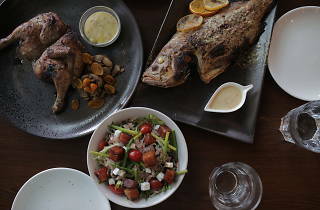 Snapper was a hit, and the potato brought memories of my mum's cooking. It's not often you go to a restaurant and get food that tastes like home.